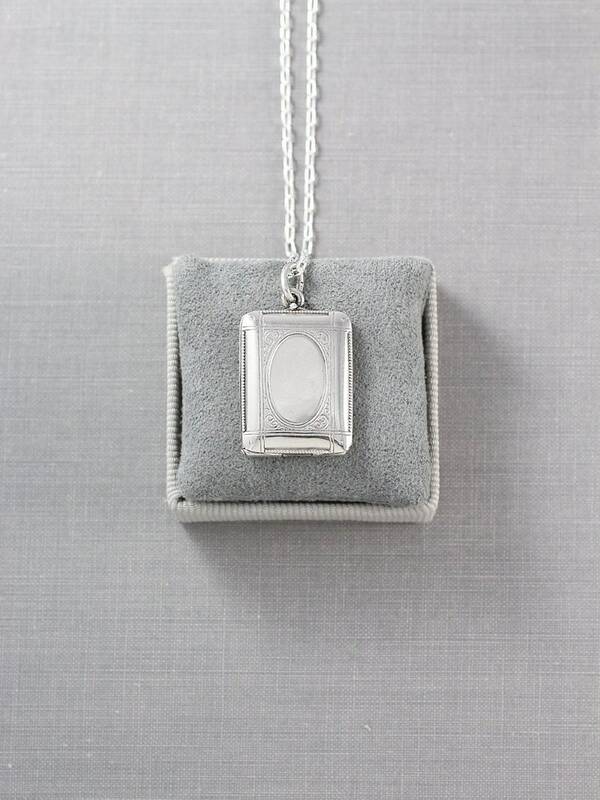 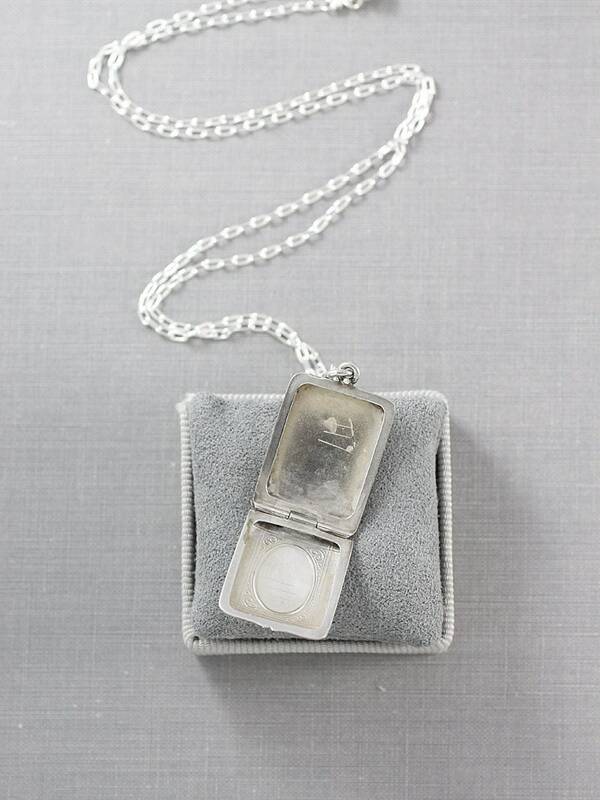 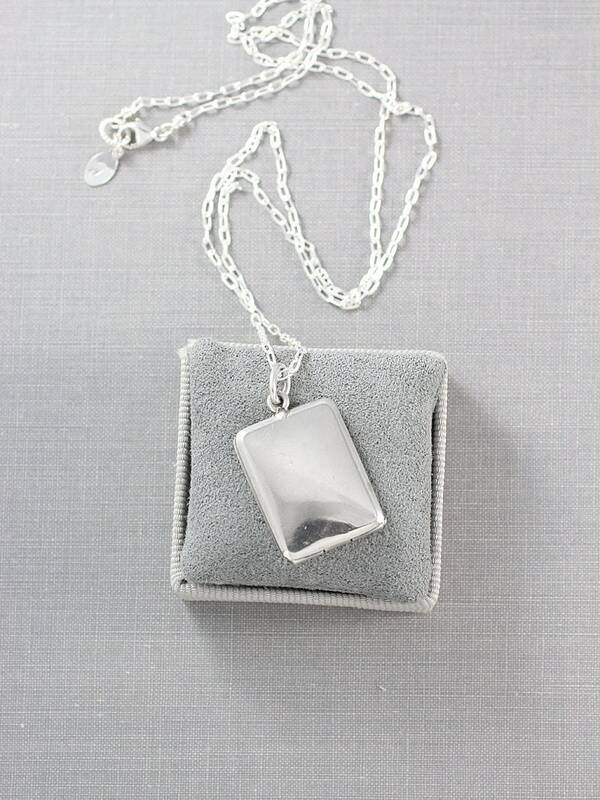 A wonderful and rare sterling silver locket is shaped as a rectangular book and engraved with a frame like design. 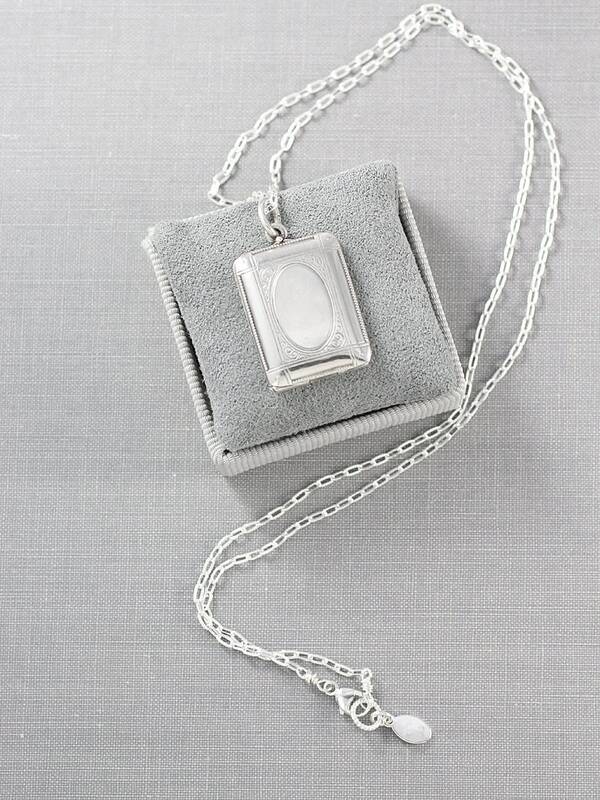 The locket opens from the top down to reveal two places lightly gilt ready to hold your beloved photographs. 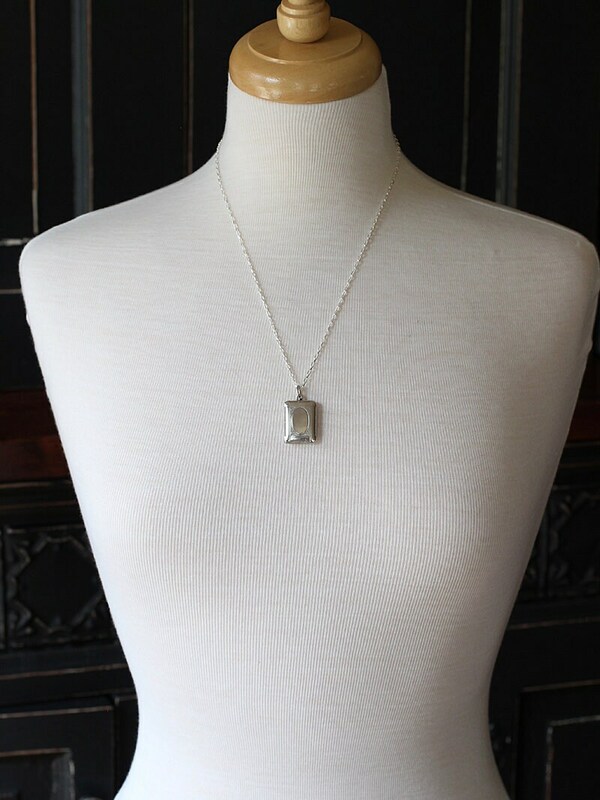 The pendant dangles on a new sterling silver patterned cable chain hand finished with a trigger clasp and ring.